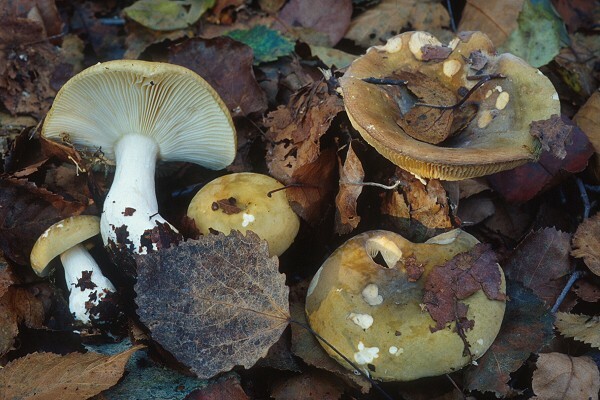 Russula clavipes is one of the species in the very difficult R. xerampelina complex: its cap is predominantly olive green, but hues of other colours may be present as well. 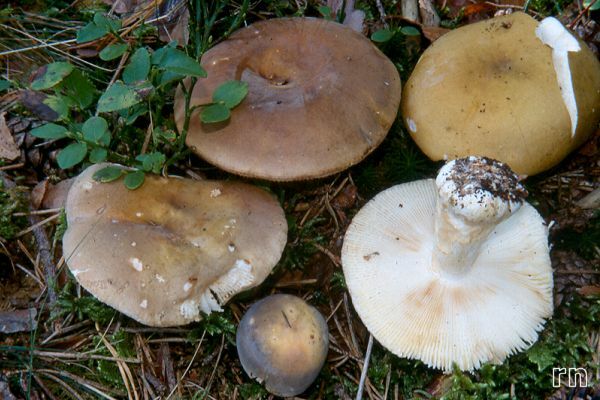 Another beautiful collection of R. clavipes, showing a wide range of colours on the cap surface. Last update: 27/12/2010 - 1488787 visits (4032025 pages) since 09/01/2004.